Roger Farmer and Pawel Zabczyk. In a discussion at the Brookings Institution, Ben Bernanke quipped that ‘the problem with Quantitative Easing is that it works in practice, but it doesn’t work in theory’. Bernanke was referring to Wallace Neutrality – a famous result from monetary theory which asserts that the size and composition of the central bank balance sheet has no effect on inflation or employment. 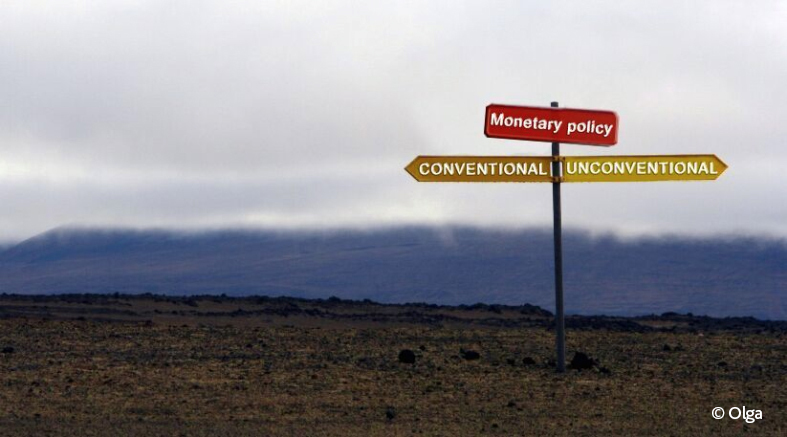 In a new working paper we bridge the gap between practice and theory, and we show how, by intervening in asset markets, a central bank can influence both. In our model, that intervention will unambiguously improve economic outcomes. In essence, central banks can use open market operations and trades in risky assets to insure those unable to insure themselves. Arzu Uluc and Tomasz Wieladek. Following the global financial crisis of 2007-08, financial reform introduced time-varying capital requirements to raise the resilience of the financial system. But do we really understand how this policy works and the impact it is likely to have on UK banks’ largest activity, mortgage lending? In a recent paper we investigated the UK experience of time-varying microprudential capital requirements before the financial crisis. We found that an increase in this requirement intended to make a bank more resilient actually induced it to shift into riskier mortgage lending. Enthusiasts use the tiny Raspberry Pi computers for many things. Fun ones include garage door opening, retro gaming, a voice-activated tea maker, live images from near-space and even a GPS kitten tracker. These computers are primarily educational but do anything a normal computer does, so users also send email, play Minecraft, program and (it turns out) do macroeconomic modelling. Collateral and market stress: what are the risks? Yuliya Baranova, Zijun Liu and Joseph Noss. Collateral – that is, securities pledged to secure loans and other counterparty exposures – plays an important role in supporting the efficient functioning of the financial system. It supports a vast range of collateralised transactions, including repo and derivatives, which are important for both market liquidity and funding liquidity. But can collateral market dynamics play a role in exacerbating financial stability risks? In this post we explore two risks arising from the behaviour of market participants in stressed conditions:The first risk is that in response to market stress demand for collateral temporarily exceeds supply, until prices adjust. The second is that, during market stress, constraints on dealers’ balance sheets mean they have insufficient capacity to move collateral across the financial system. Advances in machine learning and mobile robotics mean that robots could do your job better than you. That’s led to some radical predictions of mass unemployment, much more leisure or a work free future. But labour saving innovations and the debates around them aren’t really anything new. Queen Elizabeth I denied a patent for a knitting machine over fears it would create unemployment, Ricardo thought technology would lower wages and Keynes famously predicted a 15 hour working week by 2030. Understanding why these beliefs proved to be wrong gives us important insights into why similar claims about robotisation might be incorrect. But automation could nevertheless have sizeable distributional implications and ramifications well beyond the industries in which it’s deployed. What do the Cold War powers of the United States and the USSR have in common with modern day asset managers? The capacity for mutually assured destruction. During the 1950s game theorists described a model of strategic interaction to demonstrate how it might be that two nations would choose to annihilate each other in nuclear conflict. Simply put, each nation had an incentive to strike first, as there was no incentive to retaliate. Both would race to push the button. Asset managers face a similar set of incentives.